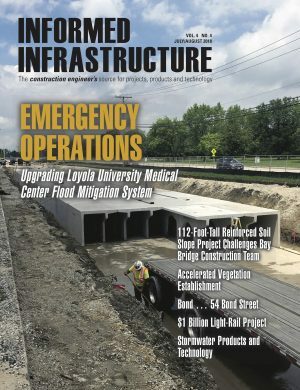 Oxfordshire, England - Orbital Micro Systems (OMS), a leader in advanced instrumentation for small satellite missions and analytic-ready earth data intelligence platforms, will host the first Weather Intelligence Forum at InterMET Asia 2019, the world’s premier weather, flood, and air quality conference. InterMET Asia is taking place March 26 through 29, 2019 at the SunTec Convention Center in Singapore. The Weather Intelligence Forum will be presented March 28, 2019 as part of Asia Climate Week and InterMET Asia. The program brings together experts in the management, processing, and interpretation of weather data collected by satellites, terrestrial and airborne systems, and other sources, to discuss the current and near-term challenges facing weather information users such as MET offices, and industries including agriculture, insurance and reinsurance, aviation, and maritime transport. In addition to participating in the Weather Intelligence Forum, Hosack will also deliver a plenary session address at InterMET Asia on Wednesday, March 27, at 11:30 a.m. In his remarks, he will discuss the challenges facing urban and regional entities in obtaining weather information with sufficient detail and temporal frequency to make timely and informed decisions regarding weather impacts. OMS has established the International Center for Earth Data (ICED) in Edinburgh, Scotland to create an easily accessible marketplace for earth observation data which offers analytics-ready data on demand or via subscription – often within 15 minutes of collection. In addition, OMS is building a constellation of some 48 low-earth orbit satellites equipped with miniaturized passive microwave radiometers to gather temperature, precipitation, and moisture data at up to eight altitudes. OMS is also participating in the launch of its first Global Environmental Monitoring System (GEMS) satellite April 17, 2019 from Wallops Island, Virginia. When a full complement of GEMS satellites are in orbit, the constellation will provide global weather observations at 15-minute intervals. To register to attend the free Weather Intelligence Forum at InterMET Asia 2019, please visit https://intermet19.reg.buzz/oms. For more information about Orbital Micro Systems please visit www.orbitalmicro.com.